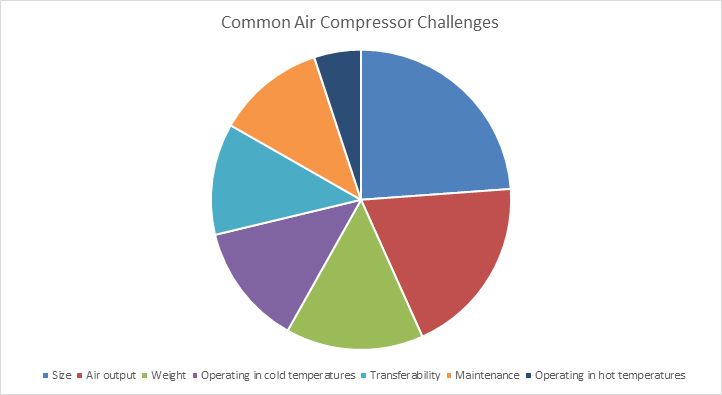 Air compressor size was the number one challenge our survey identified. 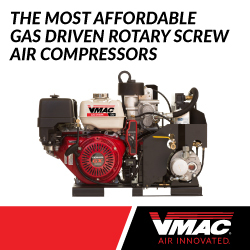 The VMAC G30 is 50% smaller* than other competitive air compressors, measuring just 34” (l) x 21.5” (w) x 24” (h), making it small enough to fit on the side pack of a single rear wheel service body. 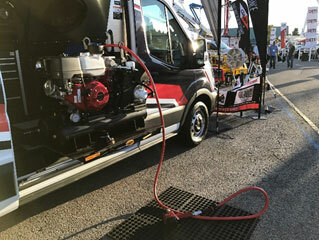 The compact size frees up to 15 cubic feet on the truck body, and leaves more room in the back of the truck for supplies, tools, and equipment. Another bonus is that visibility is improved, as the short height of the G30 means it won’t obstruct the view in the rear window.